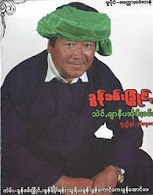 Taunggyi Time (ေတာင္ႀကီးတုိင္းမ္): What's Next for Burma's Democrats? Aung San Suu Kyi is no longer under house arrest, but the Burmese junta's insidious co-option of "democracy" highlights that real change is still a long way off. Burma's rigged elections on Nov. 7 did little more than affirm the ruling military junta's willingness to subvert the popular will in order to maintain its grip on power. However, one positive development did come from the tightly controlled election: Aung San Suu Kyi, Burma's most prominent democracy advocate, was released from house arrest on Nov. 13, after seven-and-a-half-years. Since her release, she has been busy: meeting with her party members, supporters, diplomats, ethnic leaders, civil society actors, and families of political prisoners; speaking with foreign dignitaries and leaders; and answering questions from international media. She has consistently said that she will continue to work for national reconciliation in Burma through a meaningful political dialogue, though she's well aware that her newfound freedom might not last long. The fraudulent election results were not a surprise for Aung San Suu Kyi or her party, the National League for Democracy (NLD), which boycotted the campaign. From its onset, many loyalists to the party and the movement, including myself, advised the NLD to disassociate itself from this fake election. There were some individuals who were more optimistic, arguing that the election marked the beginning of a transition to civilian democratic rule. But no longer is this the case -- the military junta's brazen theft of the election should have dispelled any remaining doubts about its intentions. The only question is: What's the next step for Burma's pro-democracy movement? The phony democratic institutions established by the junta offer some hints about the pace of political developments in Burma. According to the 2008 Constitution, the junta must convene the lower house of parliament within 90 days after the election. Parliament's upper house will assemble a week later, followed by the Union Hluttaw -- a joint session of the lower and upper houses -- summoned 15 days later to elect the president. This will likely be completed by early March 2011. Needless to say, both retired and active military generals will control the new parliament, together with their business cronies and drug lords who hold significant positions and powers within the military junta's political wing, the Union Solidarity and Development Party (USDP). There is little to no chance for the opposition members of parliament (who hold, at the whim of the junta, 15 percent of seats in the lower house and 17 percent of seats in the upper house) to address their concerns effectively. Than Shwe, the paramount leader in this criminal ring, is expected to become the president and chairman of the National Defense and Security Council, the most powerful institution in Burma -- equivalent to China's Central Military Commission. The structure of the Burmese government will change, but the political game will continue to be monopolized by the same old figures and played with the same destructive attitude. Than Shwe will still maintain his supreme authority over the government and the military at least for the next five years, the duration of one term in office. And the military's regular offensives against ethnic minorities will continue, if not escalate, in an attempt to place all armed groups under the direct command of the Burmese Army, a policy known as "Tatmadaw" in Burmese. The ruling clique will also continue to enrich itself at the expense of the Burmese people. A group of business cronies and family members of military generals monopolize the country's economy and control all access to the country's natural reserves and resources. The well-known tycoons Khin Shwe (of the firm Zay Gabar) and U Htay Myint (of Yuzana), both of whom are currently targeted by U.S. financial and banking sanctions, are now elected members of parliament with USDP tickets. Another junta crony under U.S. sanctions, Zaw Zaw, was recently granted a major contract to build the Dawei deep-sea port project, an $8.6 billion project mainly financed by Thailand, with the blessing of Than Shwe. Another of Than Shwe's favorites, Tay Za, (also under U.S. sanctions) operates several jade and ruby mines in Kachin state. Despite these obvious obstacles, there is still hope that tangible positive change will come to Burma. The recent release of Aung San Suu Kyi has effectively re-energized the democracy movement inside and outside the country. People from all walks of life -- including NLD members, independent democracy activists, Buddhist monks, students, ethnic minorities, citizen journalists, farmers, laborers, and even the military and ethnic armed resistance groups -- have joined her network to press for a democratic and peaceful transfer of civilian power in Burma. This civil society movement has believed that political dialogue is the only desirable and plausible way to achieve its aim of national reconciliation and democratization. However, the military junta's attitude for the past 22 years has demonstrated complete apathy -- if not outright antagonism -- toward Burma's pro-democracy movement and its demands. Unless this movement gathers more strength to exert further pressure on the regime, there is no doubt that the junta will continue to ignore our repeated calls for dialogue and national reconciliation. The international community, and especially the United States and Western democratic countries, must do everything in its power to bring about these reforms. It is imperative to keep existing sanctions on Burma in place, while expanding targeted financial and banking sanctions against the military regime's cronies in the business world. The escalation of the civil war between the Burmese Army and ethnic minority forces also looms on the horizon. The cease-fire between the junta and the Democratic Karen Buddhist Army, an ethnic rebel group, broke apart on election day, and conflict on the Thailand-Burma border will likely escalate. Another ethnic group, the Karen Peace Council, recently found the bodies of six of its members who had been arrested on Nov. 30 by the military. Meanwhile, the junta has been increasing troop numbers and deploying heavy artillery in the ethnically dominated Karen, Karenni, Mon, Shan, and Kachin states. Ethnic resistance groups, including the Kachin Independence Army, Shan State Army, New Mon State Party, United Wa State Army, and Karen National Union are preparing for renewed conflict. This development will no doubt worsen the horrific human rights violations and crimes against humanity in ethnic-minority areas. In addressing this situation, the international community must recognize that an ounce of prevention is superior to a pound of cure. The United States and its allies should press for the creation of a U.N.-led commission to investigate crimes against humanity in Burma. Toothless resolutions and statements just won't do. A credible international inquiry of this kind could prevent future human rights violations and also pressure the regime to engage in a dialogue with its critics. The United States should continue to engage with the regime, but it should not be a unilateral effort. Washington should work together with Asian governments, including those of Thailand, Malaysia, Singapore, the Philippines, Indonesia, South Korea, and Japan, which have expressed interest and seriousness in restoring stability and democracy to Burma. This multilateral approach will bolster the U.S. message to Burma's leaders, while also serving to balance against China's growing influence. U.S. President Barack Obama can begin these initiatives by appointing a U.S. special policy coordinator for Burma, as mandated by Congress, to coordinate sanctions and diplomacy within the U.S. government and with other countries, without further delay. 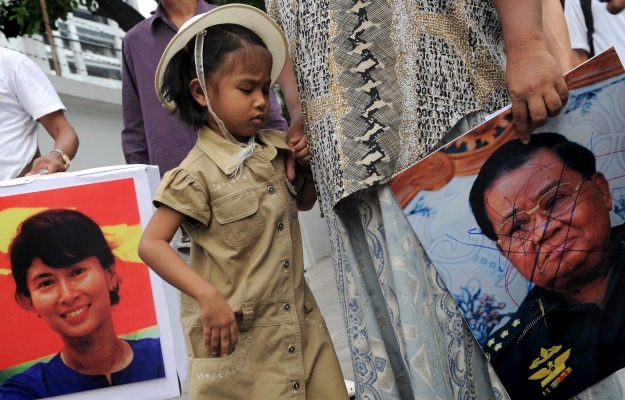 Aung San Suu Kyi cannot work alone; she needs help from the international community. And the Burmese people are expecting the international community to listen to their voices and concerns. They need both moral and practical support to strengthen the democracy movement. It would be irrational and irresponsible for the international community to consider lifting the current sanctions and allowing foreign investments return to Burma; doing so will only enrich the top tiers of the military regime and their business associates while enslaving millions of people under their oppression. Instead, the United States should direct its energies to solidifying this grassroots civil society movement, which is Burma's best hope for lasting and effective political change in a country that for too long has been oppressed at the point of a gun.